Peter Brown’s book The Cult of the Saints is a lengthened edition of a five part lecture series he routinely delivered at the University of Chicago in the 1970’s. 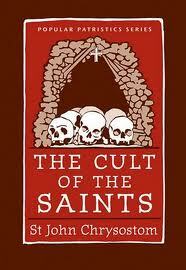 Paper Masters will help you write a custom research paper on The Cult of Saints. The book is about the role of dead human beings in the joining of Heaven and Earth. Brown challenges the theory that the “two tiered” model and “mass conversions” were responsible for the practices popularized during the period of the Cult of Saints. Brown would have us explore the possibility that the resulting changes in Christianity were the result of unification of smaller factions in the church and an increased population searching for new methods of worship. Brown starts by examining the views in Early Christianity regarding the dead and burial. He identifies the resistance of many members of the elite to the emerging practices of bringing the deceased out for burial and paying homage to the tombs of the departed. Quotes from the emperor Julian and Eunapius of Sardis demonstrate great distaste and even horror at the concept. Brown reminds us that it is quite common for shared beliefs to be acknowledged and practiced differently among different members of society in a way that leads one section to be threatened by another. Brown states “We have become concerned to trace in paganism and Chrisitanity alike a common response to the human condition”. It is not difficult to understand how early church leaders, firm in uniformity and strict doctrine were threatened by any similarities between the pagan and Christian practices. However, Brown warns of the dangers in letting one’s thinking be directed by conventional sentiment without consideration for the alternatives. Brown traces the development of family centered burial practices to publicly accessible shrines to the saint. Private customs such as feasts at the gravesite were among those challenged by the church, and Augustine of Hippo in particular. However, there is no indication that this a custom practiced only by the “vulgar”, a fact Brown uses to discredit the two tiered model. Instead he believes that the influx of the “vulgar” was used as justification of the rise of new, “popular”, forms of religious feeling. As shrines became more public, and the traditional barriers began to crumble, more and more people benefited from the less restrictive doctrine regarding death and the connection of the living with those who were deceased. Religious Cults - Religious Cults research papers look into religious groups with deviant or novel beliefs and practices. Reverend Jim Jones and the People Temple - Reverend Jim Jones and the People Temple Research Papers discuss one of the worst tragedies connected with cults. Doctrine of Augustine - Augustine is Called the Doctor of Hippo by the Protestant religions and the Catholic Church his exceptional insights have settled many theological controversies. Life of Saint Augustine - Life of Saint Augustine Research Papers discuss his upringing and the events that lead to his ordainment into the priesthood in 396. Paper Masters writes custom research papers on The Cult of the Saints and look at a book by Peter Brown about the role of dead human beings in the joining of Heaven and Earth.